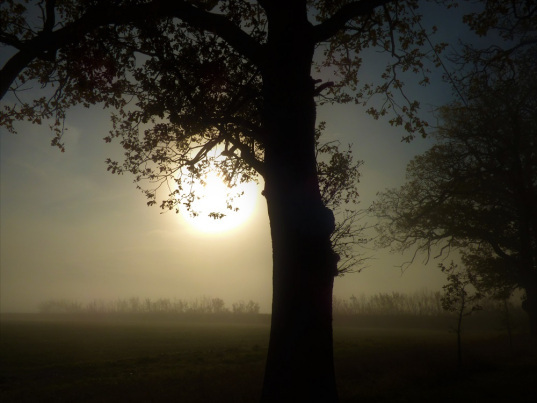 Standing by a lone tree at the edge of a grassy field watching the sunrise, Greg Neville felt safe for now. They were probably still hiding in the shadows and some were shielded from the light by the tule fog, but as long as the sun was up and it was warm, they’d remain stuporous and wouldn’t give him a problem. In an hour or so, the fog would burn off. He had been too terrified to sleep last night and desperately wanted a nap, but he didn’t have much time. He had to find his way back to Travis and stop them before they spread the plague. He’d been waiting at the airfield at Travis Air Force Base yesterday when the C5-Galaxy arrived from Udorn Royal Thai AFB in northern Thailand. Greg wasn’t told if it was the CIA or some other intelligence agency that had procured a sample of the Rakshasa virus from the biological weapons laboratory in central China. He’d flown out from the CDC in Atlanta with the rest of the team under secure orders to test the serum on Rakshasa and determine if it could either vaccinate populations against it or kill the plague outright. Greg was the only person on the Directive 12 Team who wasn’t a doctor or medical technician. He was assigned in the unlikely event of a worse case scenario. However, instead of this being just another milk run for him, he would become the star player in preventing national if not world-wide Armageddon. That was the purpose of D-12, to handle the most dangerous biological threats. The world and even most of the personnel at Atlanta’s Center for Disease Control didn’t know they existed, and they were no doubt happier for it.